Allan writes; ‘Bar chords are strenuous. They take strength and endurance. They are hard to get right and easy to get wrong. But there are ways to make them more likely to work. If we use our bodies well, bar chords can be, if not comfortable, at least doable’. Some time ago, I exchanged emails with Jim Giddings of Denton, Texas. Jim composes music for classical guitar, much of it with a decidedly Latin American flavour. The difficulty level of his pieces is mainly Intermediate with a few more suitable for the advanced beginner. All his music is available free of charge and HIS SITE is worth visiting to browse through his collections. To get an idea of what his compositions sound like, go HERE. 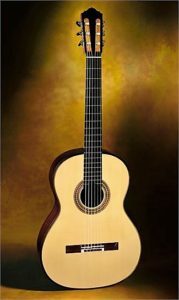 Top concert classical guitarists tend to attract the most attention and are best known to the CG fraternity, but top luthiers are seldom spotlighted. Yet, it takes decades of research, experimentation, craftsmanship, and talent for a luthier to become the best of the best. And, each master grade instrument takes about 200 hours to produce. So, this article is about the top guitar builders rather than the top artists who play their instruments. My wife has been trying to twist my arm to travel overseas with her, but travel doesn’t pluck my strings unless it’s for a specific reason. So, to try and get into the spirit of it, I wondered where I would I like to go if I could visit a luthier there. I built my own guitar in February 2015 and developed a great deal of respect for master luthiers. I know that I am unlikely to visit any renowned luthiers outside of my own country, but I thought I would compile a list of the top guitar builders still alive today. Of course (you guessed it), who decides who the best of the best actually are? So, I scoured the classical guitar fora and websites to see which names came up most often as top of the pops. I then arranged them in order of dollar price obtained for their new instruments and then checked this against the guitars currently played by today’s greatest classical guitarists. 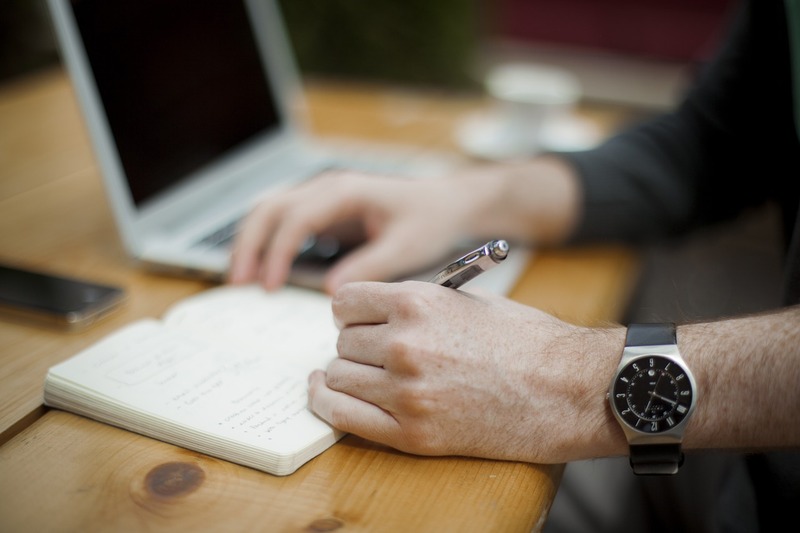 (another rather subjective exercise that I attempted and wrote about some months ago). The top three will not come as a surprise to anyone, but the other four might. Matthias Dammann of Germany, the first to build multi-level top (double-top) guitars, and who’s instruments sell for around $35,000 each. David Russell plays a Dammann guitar. Gernot Wagner, also of Germany, who sells his guitars for about $33,000 each. Jason Vieaux favours his instruments. Greg Smallman, of Australia, who first developed the lattice bracing system and who’s instruments sell for about $25,000 each. John Williams now champions these guitars. Jim Redgate, also of Australia, who sells for around $14,000 an instrument. Ana Vidovic plays his guitars. Daryl Perry, of Canada sells his instruments for about $13,000 and is favoured by Marcin Dylla. Liam Romanillos, of England, works in consultation with his famous father Jose, and sells for around $12,000 per guitar. Julian Bream has long favoured Ramanillos guitars. Michael O’leary, of Ireland, sells for about $11,000 and is favoured by Sharon Isbin. Even if you don’t read any further, it might be a good idea to pause and reflect on the contributions these dedicated Luthiers have made to the classical guitar world. However, for those who would like a little more detail, here are brief descriptions of the work of each luthier listed. 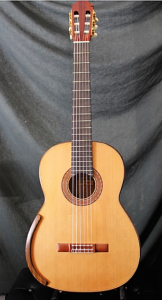 The double-top (sandwich or multiple top) concept of guitar construction has an undisputed ‘inventor’: Matthias Dammann a man who together with Torres and Smallman took the classical guitar in new and exciting directions. He created his first double top guitar in 1989 constructed with two thin Cedar tops sandwiching thin strips of cedar and then glued together under pressure. By mid 1995, he began to experiment with ways to achieve more control over the weight and action of the soundboard. An acquaintance mentioned a material called Nomex, a very strong yet light Kevlar based honeycomb that he then used to replace the strips of wood between the two tops. 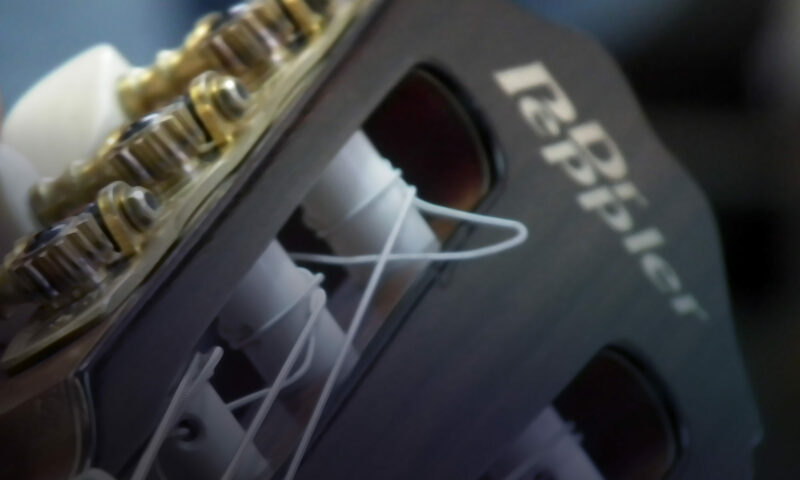 Matthias continued his acoustic experiments during 2011 and 2012 and confirmed his theory that new core materials would bring significant refinements in the entire enterprise of guitar construction. His guitars set a new standard by which others still measure their composite tops because Matthias has captured a refined and complex voice and a responsive instrument capable of a dynamic range with great power and projection. In 1984 he left Frankfurt to set up a workshop in Eastern Bavaria, and there he devoted himself to creating guitars that he himself would love to listen to and play. 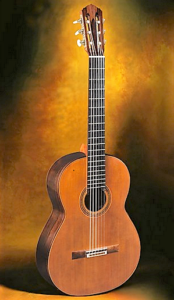 In 1988 he won the Grand Prix in the 1988 Paris/ORTF International Guitar Maker Competition. Gernot began making classical guitars, baroque and renaissance lutes, and vihuelas nearly forty years ago, but for the last thirty years he has focused solely on constructing concert classical guitars of the highest quality. 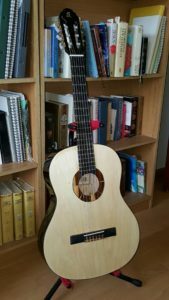 In his early years as a luthier, Gernot became particularly interested in the scientific aspects of guitar making and this fascination with acoustic research has been an ongoing stimulus to his work ever since. However, visually, he has always taken his cue from the guitars of Daniel Friederich, which embody a clear, elegant, traditional aesthetic. In 1989, he completed the famous ‘Instrumentenbauschule’ (musical instrument making school) in Mittenwald, Germany and was awarded the title, “Master Guitar Maker’. However, from the start, Gernot strove to create powerful, well balanced instruments with a wide dynamic range and a beautiful sound of great clarity and separation. In 1996, he discovered that he could get much closer to this ideal sound when he used an Aramide honeycomb material and used this to construct his first double top guitar. Greg is known worldwide for his innovative guitar designs. Although, outwardly, his guitars are similar to a traditional Spanish classical guitar, they incorporate several innovative differences. For instance, the use of a high arched and carved back for the guitar considerably thicker and heavier than a conventional guitar. This back is made of Madagascar Rosewood, while the top is always made of Western Red Cedar. Also, the light weight of the top combined with Smallman’s unique system of bracing makes the guitar very responsive to input with a full rounded sound. The top of a Smallman guitar is braced using a “lattice” framework composed of balsa wood and carbon fibre. Jim makes both lattice braced and contemporary composite (double) top guitars, all known for their volume, tone, responsiveness, and playability. Jim has been building for nearly 30 years in Adelaide Australia. His guitars are full of his own innovations and are unique instruments, creating a style and sound all their own. His solid top lattice braced guitars have the brace less, parabolic arched back and sides.This design reduces stress on the soundboard by transferring much of the string force to the body of the instrument, thus allowing the soundboard to move more freely. The tops are thicker than Smallman’s, but supported by a highly refined carbon fibre honeycomb/lattice braced system. Daryl has been a full-time luthier since 1982. Early on in his career Jose Romanillos introduced him to the central ideas of the Torres-Hauser school and he has been working with, and refining, these ideas ever since. Daryl has received a number of awards for his work and has done historical and practical research in Europe and North America. Liam continues the fine tradition of Romanillos guitars through an ongoing collaboration with his father, Jose. These instruments have long been known for their haunting and romantic sound. Their rosettes are inspired by the Moorish arches in the Mezquita of Córdoba and are all made using natural coloured woods. Michael studied guitar building with Jose and Liam Romanillos, and embarked on a career as a full time luthier not long afterwards. He played guitar from an early age and his son Alec followed a career in classical guitar. Father and son were inspired to create a new style of concert guitar, an instrument built with the goal of bringing the volume demanded by today’s concert artists while retaining excellent tonal qualities. In their guitars, lattice bracing meets fan bracing with wonderful results. They build them with a brace-less arched back and a combination bracing system that pairs carbon fibre lattice with traditional fan design. This produces guitars that are unusually powerful, but with a tonal character that is deep, rich, and traditional Spanish sounding. The guitars that these seven masters of lutheri build all look remarkably similar… beautifully similar. Their differences lie mainly in their internal structures and soundboard composition and thickness. All of these ‘best of the best’ produce instruments that big-name guitarists treasure and all classical guitarists covert. Their waiting lists are several years long. ‘On Christmas Eve of 1818 the young priest of St. Nicholas parish church in Obendorf faced disaster. The organ had been incapacitated by mice. The chance of fixing the instrument before the evening service was nil. Father Joseph Mohr was not a man to just give up however. He pulled out a poem he had written several years before called “Stille Nacht”. Mohr took his poem to the schoolmaster and organist of a nearby town, Franz Xaver Gruber. He asked that Gruber write a melody to accompany the poem on guitar. In several hours, Gruber had the music done and the carol was played for the first time that night at the Christmas Eve service. The song was not translated into English for another 50 years. Episcopalian bishop John Freeman Young published the English translation that is most frequently sung today in 1859. The writing of the song is unique enough but one other interesting factoid makes this carol special. In 1914, during the Christmas truce, the song was sung in French, English and German simultaneously. It was apparently the one song that all the soldiers on both sides knew’. And HERE is Douglas Niedt’s arrangement and rendition of this historic piece of music. Douglas has also made other Christmas music available free on his site www.douglasniedt.com. 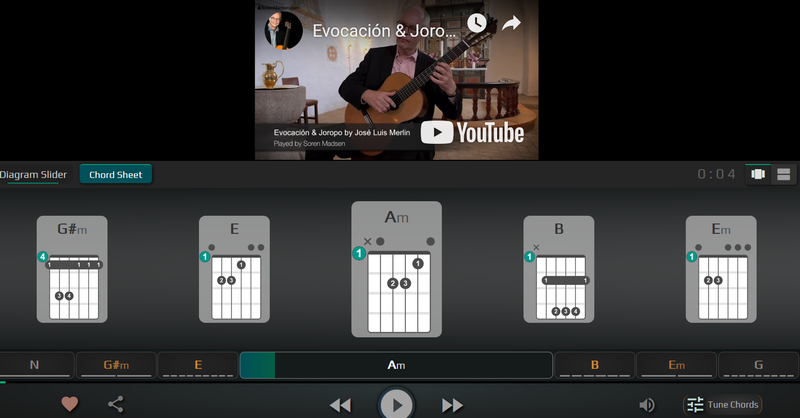 In March 2018 I gave a short list of six sites that I have used to access music for the classical guitar. Here are a further two sites plus an additional Delcamp page. 393 free to download, modify, print, copy, distribute, perform, and record – all in the Public Domain or under Creative Commons licenses, in PDF, MIDI, and editable LilyPond file formats. Another page in the delcamp offering of free CG music in .pdf format. It also has an extensive list of works arranged in alphabetical order by composer. 596 pieces of music, collections, primers, and books. By clicking on one of the five column headings you can sort by either Title, Composer, Form, Period, or Rating. This site lists over 4,600 pieces in .pdf format. There is no real difficulty grading system but it does list 1,173 pieces as ‘easy’. 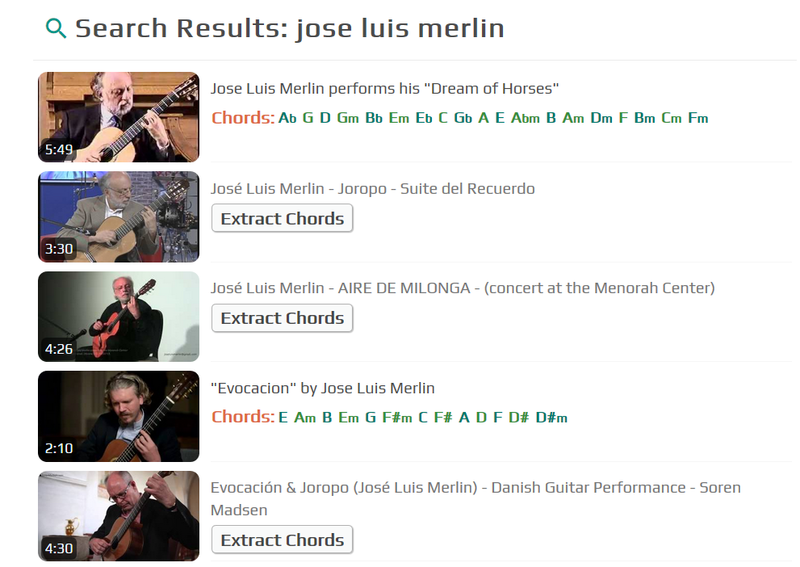 Some of the pieces have a difficulty indicator when you click on the actual selection; for instance, Tarrega’s Lagrima is marked ‘Grade 4 Late Intermediate’. Bradford Werner has provided a nice, but by no means comprehensive, selection of graded pieces. The added value of this site is that he provides video lessons for most of the pieces listed. 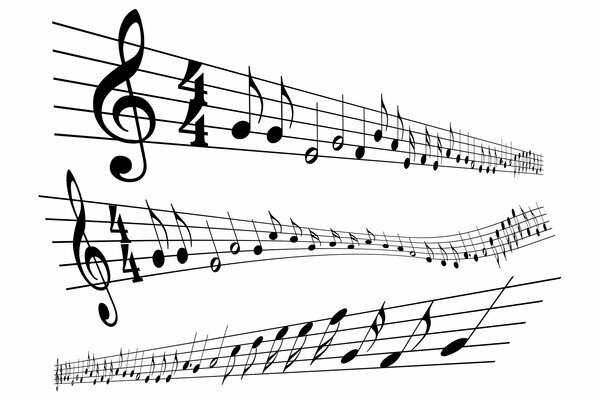 The Petrucci Music Library contains a huge database of public domain music for all instruments. It is not easy to browse this collection, but the search facilities are adequate if you are looking for a composer or a particular piece. For instance, a search for ‘Tarrega’ yields 51 pieces and a search for ‘Largrima’ yields no less than 7 available transcriptions. Unfortunately, there are no indications of playing difficulty. However, you could use www.guitarburst.com in conjunction with this site for most free guitar scores. A reasonably good range of free music scores as well as methods and collections, but this is the site of the Guitar School of Iceland and so the commercial sections contain a lot more material for which you will have to pay if you want to download them. 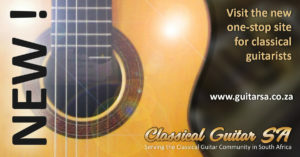 This site is more than just a forum and contains sections of graded classical guitar music. The drawback is that you have to become an active member of the forum in order to access most of these collections. In addition, the choice of music tends more towards the Baroque than anything else. Those are not my words, they were written by John Calkin in American Lutherie #69. John built musical instruments professionally for nearly 40 years. From what I can gather, John has made mainly steel string guitars and classical guitars do have their own particular sound profiles, but his opinion should never the less be taken seriously. ‘I find that spruce has a very direct sound with a golden bell-like sound. It is maybe a bit more clear, balanced, and sometimes has more sustain’ and ‘I find cedar guitars to be warmer, darker, and fuller sounding than spruce guitars’. Others describe the sound produced by spruce tops as pure and bold, while cedar tops produce harmonic and ringing tones’. And of course, different guitarists and luthiers have opinions on the tonal qualities of the wood selected for back and sides. Rosewood is said to have a good bass response, maple has a clear treble response, and walnut produces a textured, earthy sound… and so on. 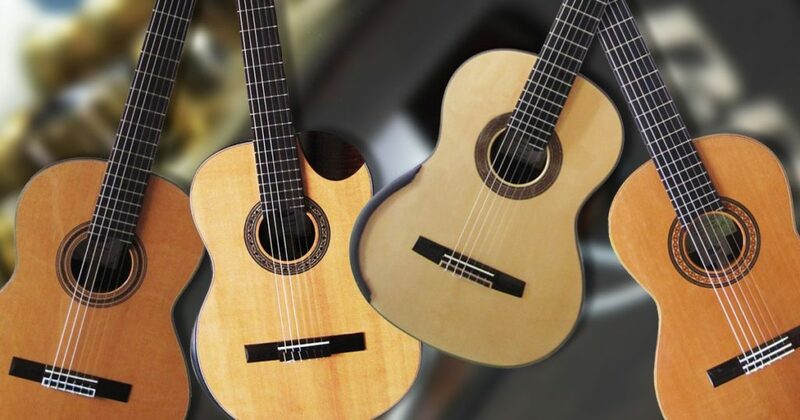 So, if not just the wood, then what are the main contributors to classical guitar tone? Obviously, the strings are the prime source of the sound that the instrument will ultimately produce. The quality and tension of the strings make a huge difference to tone; just change an old set for a quality new set to hear this. However, put that same set of new strings on a solid body guitar without amplification and the sound they make is pathetic. A year ago, I undertook what I called my Beater Project. I bought a new $50 (RSA R700) classical guitar off the internet and then set about trying to make it sound like a $500 guitar. The idea was to modify but not remake. The top, back and sides were 3mm Basswood 3-ply; the saddle and nut were plastic, the soundboard was finished with a thick mixture of varnish and wood stain, and the strings were possibly the most inferior I had ever encountered. I started by taking off the strings and then scrapping all the gunky varnish off the top and sanding it down. Then I applied a coat of polyurethane clear varnish and levelled all the frets. Next, I replaced the cheap plastic nut and saddle with bone, restrung with good medium tension strings and adjusted the action. A rosette I made from exotic wood veneers, a strip to decorate the bridge, and the job was done. The difference in tone? Huge! The point of this blow-by-blow accou nt is to demonstrate the few things the average guitar owner can easily do to improve tone. The folk at Graphtech obviously focus on the importance of strings in combination with nut and saddle. They write ‘The saddle allows appropriate frequencies to go from the string to the soundboard (to make tone) and stops others from going through easily (to make sustain). It’s the perfect mix of these two elements that create the sound we look for.’ However, they go on to point out that the soundboard has a lot to do with how the guitar sounds; ‘The soundboard’s ability and efficiency depend on its shape, thickness, mass distribution, and grain pattern – as well as the characteristics of the bridge and how the bracing on the underside is glued.’ They also acknowledge that the air in the body of the guitar is excited by the string vibrations transmitted through the top and influence both the volume and tone of the sound produced. Choice of top wood – wood type and stiffness, evenness of grain, age, bracing, and finish (varnish, polyurethane, or French polish). String scale length – the length of string between nut and saddle has an influence on volume and tone. Bridge and Saddle – the size of the bridge has a small influence on the tone and the nut material has a big influence. Neck – the density of the neck wood and even the size and weight of the headstock can make a small difference to the tone. Body – wood selection and thickness for back and sides makes a difference, as does solid wood versus laminates. In addition, the volume of air contained in the body (size of the soundbox) influences the volume and sometimes even tone. Even the inner surfaces of the body can affect sound production (shape, smoothness, glue residue). So, in reality, it is the intricate construction and interaction of the various components that produce the tonal qualities of the instrument. Then add to that the way the guitar is played, the room in which it is played, plus the hearing imperfections of the player and audience and we have the final tone of the guitar. Oh, and then there is the matter of changing humidity, ageing wood, string fatigue and so on. Bottom line: Good guitar makers produce guitars with good tone, sustain, and volume. Great luthiers produce guitars with exceptional sound qualities. But, I have only built one guitar from scratch and I am not even a particularly good player. 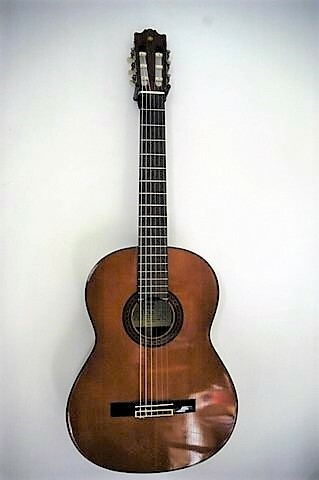 However, like every classical guitar enthusiast I have encountered, I know what I like and I have a favourite guitar among several. Mine happens to be the one I made, and that probably says volumes about the subjectivity of it all. A light-hearted anecdote that brings a smile but also has something to say about cheap versus expensive guitars, laminates versus solid wood builds, and what makes for a good guitar. Like many players, I’ve longed for that ultimate guitar. I’ve spent time and money on my quest too – although, I’ve never gone (completely) crazy. Naturally, there’s a guitar for every room of my house, not forgetting the garden. Inevitably, I acquired one that is rather more expensive than the rest. She lives in her case, until there’s a special gig, a recording to do, or company I want to impress. She’s refined, articulate, projects well, everything I could wish her to be, and yet (how can I say this?) …she’s not ‘the one’. I’ve been seeing someone else. It started about three years ago. We met on Ebay. It was just an impulsive moment, I wanted to try something different. A bargain, £32, no questions asked. I took her home, sneaking guiltily past my long-suffering wife. Twenty-odd years my junior, a 70s model, oriental, Yamaha G-230 – so the label said. I had no great expectations. Frankly, her finish, tone or volume didn’t seem likely to blow me away either. But we carried on meeting anyway, sometimes in the lounge, or the garden, or the bathroom where the acoustics were best, and which is where our relationship grew. I’ve met many guitars to make the heart beat faster, and seriously lighten the wallet too. Wonderful honeymoons they were – if a little short. It seems that after the initial euphoria of an expensive guitar there is often only one way to go: discovering the things you don’t like about your new partner. Yes she has a voice, one to reach the back of a hall, but that doesn’t mean all her notes are nice ones. Play a little too hard in a certain register, and she’ll squawk contemptuously back at you. And what of that pristine, French-polished, complexion? Where did all those fine nail lines come from? Did you come close to a full-blown Rasgueado in a moment of passion? You’ve only yourself to blame, she glares back, accusingly. So, mine lives in her case, awaiting the joy of rediscovering the things I genuinely do like about her –which are many. Meanwhile, my dalliances with the Korean-made Yamaha take up an increasing amount of time. Instead of disappointment, I delight in finding more good things. She doesn’t object if I handle her ‘insensitively’. There are no bad notes in her entire register, familiarity only reveals sweeter tones in hiding. Does her song reach the back of the room? I’ve no idea, but she reaches my ears, and I can always mic-up, if needs be. But it hasn’t been all ‘hearts and flowers’. A few months back I admit I made the mistake of looking into her past, and production materials, on the Internet. Someone suggested she was of ‘laminated construction’. This news was deeply repellent to me. I could only think of ‘laminated construction’ as a posh term for plywood. It shouldn’t have mattered, but I couldn’t even look at her for a full week. Eventually, I had to get over these preconceptions and prejudices, because I yearned to play her again. But I demanded a full internal examin ation. If G-230 (as I now affectionately called her) was my ‘plywood siren’, I meant to know her innermost secrets, the mechanics of her voice. 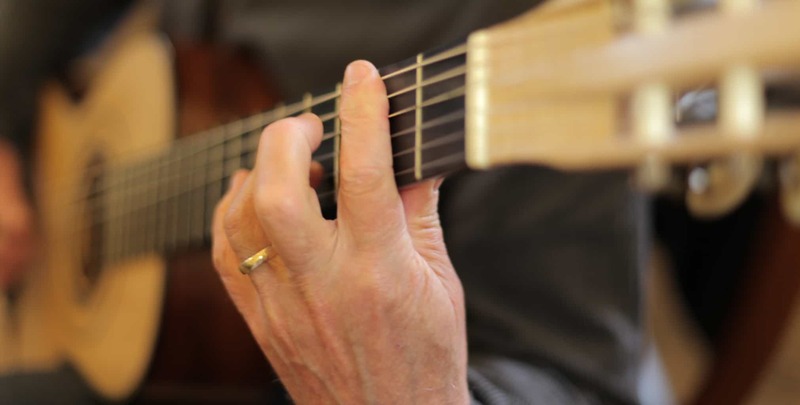 My hand delved into the soundhole, way past the knuckle, almost to the elbow. What I found mystified and appalled me further. G-230 wasn’t even what I would regard as ‘traditional construction’. Where seven braces (a fan of reinforcing wooden pieces strengthening the vibrating top) might be judged the ‘norm’, there were only four. Life is full of surprises. Clearly a good guitar does not have to be an overly sophisticated one. The design here is actually quite crude, but the workmanship is enduring and excellent. I know nothing of Yamaha’s more recent offerings but my experience of other makes strongly indicate that the modern factory guitar does not compare well with this thirty-odd year-old example. Technology, ‘progress’, doesn’t always equate with better. Production speed and profit, are the key words in today’s market. Don’t let the salesman bamboozle you. I’ve got a good thing going with a cheap guitar, and we really do make sweet music together.